Safety Set Consulting is an award winning consultancy specialising in operational Health, Safety and Risk Management. Our primary objective in operating within this space is to continually raise the bar on operational safety globally. A goal we are passionate and committed to achieving by providing pragmatic solutions to real world problems. Safety Set Consulting is available to go anywhere at any time to work collaboratively with you to enhance your safety and reduce your risk. 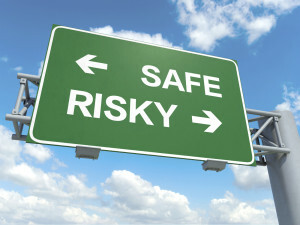 Provide specialist audit and review of your current Health, Safety, Risk and Operational systems. Issue an internationally recognised safety certification identifying you as safe providing added confidence to all stakeholders. Provide onsite external monitoring and safety management for all operations. Conduct risk assessments of crowded spaces inclusive of terrorist threats, recommend and assist in implementing mitigations against an ever increasing threat. Conduct workshops and training across operational risk management. Safety Set Consulting is owned and managed by Warwick Hall, Warwick has a strong analytical and systems background gained from time in both the New Zealand Military and Police. He is a skilled investigator; complimented with formal training in problem solving, negotiation, facilitation, mediation and conflict resolution. With this background, and seventeen years experience working in New Zealand and around the world, he offers a practical common sense approach to achieving a safer environment. During his time in the military he achieved several awards and while with the police he received a citation for bravery, it is this work ethos that he brings to your organisation. Having worked on hundreds of festivals and events from community to world level, it is this broad experience base combined with formal training that places his credentials above reproach as a specialist in operational risk and ideally positions him to protect your reputation. Contact us for a free no obligation review of your current systems.